Just click CANCEL when password box pops up. 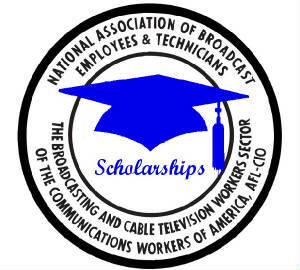 SCHOLARSHIP INFORMATION FOR THE WINTER 2018/2019 HAS BEEN UPDATED. Click here to go to the address correction form. provide free training for our members. Lynda is an online training center that can provide instruction in over 1000 programs. The training is free to members in good standing. 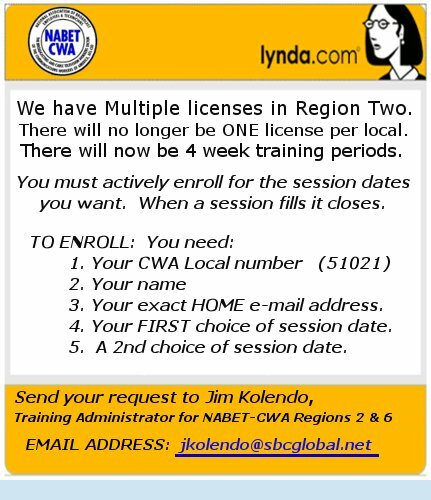 Click on the Yellow graphic below to go to the lynda.com web site. Scroll down to the bottom to find a list of courses available. CHANGES TO LYNDA.COM training sign-up. The lynda.com training platform that we have been using for the past ten years has been deteriorating as more users and data have been added to the system. Lynda technical services have found it increasingly difficult to patch the system and keep it running. The platform can no longer support our use. It has become necessary to move our members to a new user platform. This will occur on January 4, 2016. The training experience for users will remain essentially the same. Members will no longer need to request specific training dates for set periods of time. They will be assigned an active license, which will be good until the end of each calendar year. At the end of each year they will need to request activation for the following year. User statistics will be tracked for each member. Failure to use a license may lead to immediate deactivation, or to not being activated for the following year. Licenses cost money, and CWA and NABET want to make sure they are used. As with any kind of change there will some inconveniences. 1. Users will again need to re-register to use the new platform, a small price to pay for annual uninterrupted use. 2. Individual course histories will not be available until late February or early March. Other unforeseen problems may also occur and we hope that everyone will be patient. START SIGNING UP NOW !!! First come, first served! Submit alternative dates. Send the following information to jkolendo@sbcglobal.net. My union cell phone is 440-915-4391. Information needed: 1. Your Local’s Number, 2. User’s name, 3. User’s exact e-mail address, and 4. Desired training dates from the above schedule. Serious repeat users are welcome back any time! Active registered members may e-mail me directly. Additional entertainment discounts, including but not limited to: Theme Parks, Movie Rentals, Movie Theatre discounts, Ski Lift Tickets, and more.